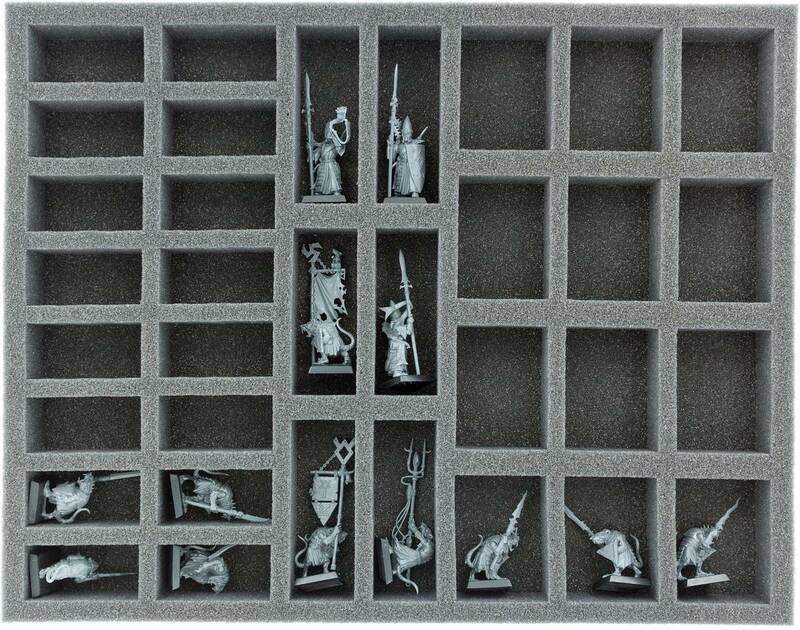 Perfect for all sets of mixed size miniatures from your gaming system. 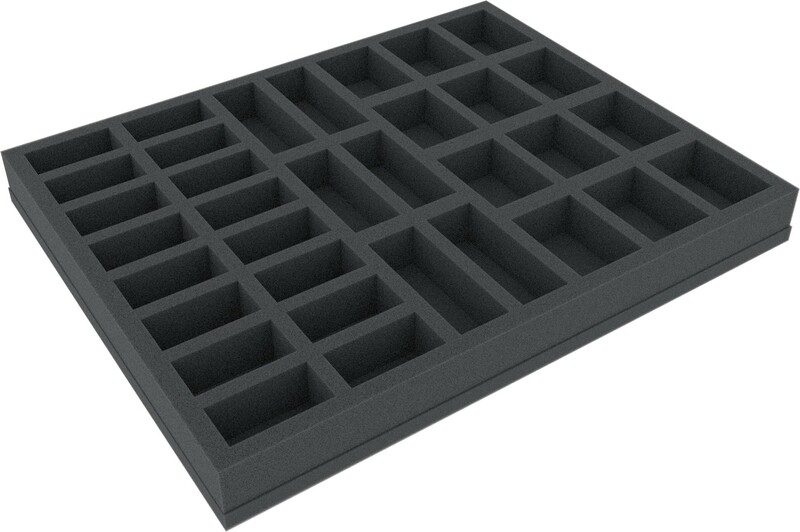 This foam tray has 34 compartments of different sizes. It is ideally suited for safe and clear storage of tabletop and board game miniatures with round or square base up to 25 mm.